Wedding favor – My proposal! As usual…. to see better “click” on the photos! When I had my shop I understood badly if people choose to make them because of the tradition, because they often said to prefer a sort of place card using an little object. After several years I finally understood: they want a wedding favor, but not a too much expensive one. I understand that perfectly, because if you have more than 100 invited people the costs go up very quickly! So I was searching for very nice and elegant solutions for the couples. Let's take a look where the idea comes from! When was born the idea to make wedding favors? The idea has its origin in France in the '700. In France it was very usual to give to the couples that were going to be married a little precious box of bon bon or sublime delicacies. Precious and very cherished not only in the way they were realized, but also for the treasured materials (ivory, gold, mother-of-pearl). This kind of “Bomboniere” (wedding favor) were also very loved at the court by the Sun King. Goethe, in the 1792, gave an adorable box filled with bon bon to his further wife as a gift. Also Napoleon at the beginning '800 adored giving the boxes as a gift to show his gratitude. What was the meaning of this precious box before '700? The “bomboniere” before '700, let’s say before getting officially a wedding tradition, were considered a simple box whishing good luck. Now you understand because nobody wants to miss this little tradition! In 1500 in England they call them “sweetmeat box” or good luck bringing box and they were filled with sugared almonds. Also in the United States it's not possible anymore to imagine a wedding without these wedding favors so that they can bring luck to the new couples! In the meantime also the signification changed a bit: it's also to say thank you to the guests of the marriage, for their gifts and as something to remember the beautiful and important day you spent together. You see more or less in different ways this little “bomboniere” are loved all over the world. 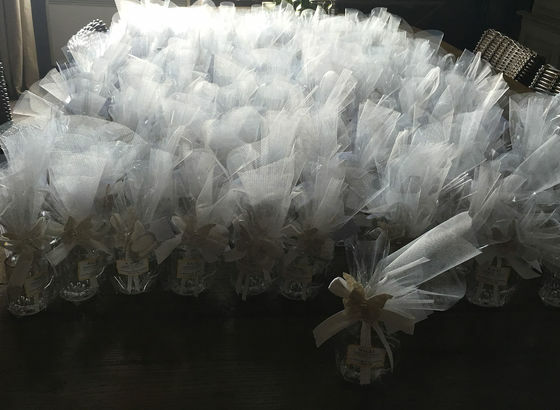 For that reason I made this video of my wedding favors, realized for my client...150 pieces! You don't have to spend a lot of money to follow this beautiful tradition. Just look in the way you want to do it, but I think everybody loves having these tiny gifts, that bring luck to the new couple and say thank you to all the guest for a memorable day together! Let's do them! Hope to give you some inspirations! If you love this video give me a “like” and subscribe for my channel so you don't miss one of my other videos! ","abstract":"Let's take a look where the idea comes from! My proposal of one! 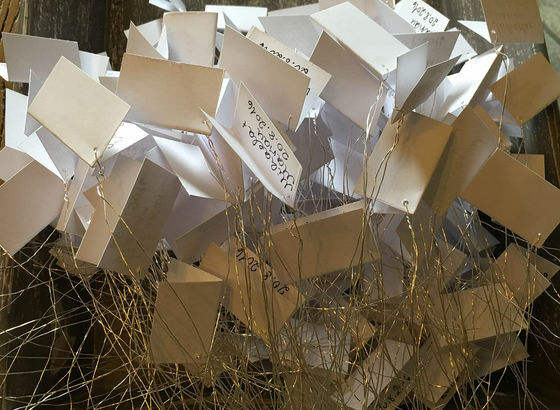 ","titolo":"Wedding favor â My proposal!"} no 2 creation https://youtu.be/W9SaDYJesl0 Let's take a look where the idea comes from! My proposal of one!